Manchester United winger Jesse Lingard has sent a tweet ahead of tomorrow’s big game against Burnley for Jose Mourinho’s struggling side. 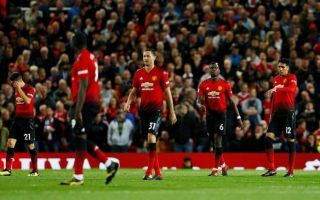 After two defeats from their first three Premier League games, the trip to Turf Moor looks a potentially significant one for United, and for their manager in particular. Another poor result could be very bad news indeed for Mourinho, with the Daily Mail reporting that the Portuguese faces the sack if his team lose once again. Lingard has sent a rallying cry of sorts via his Twitter account, saying he’s focused and saying ‘let’s go’ to United as they look to get back to winning ways. The England international as been a key player for the Red Devils in recent times and seems a popular character in the dressing room. United fans will hope a bubbly personality like Lingard can keep morale up during this difficult patch, as he seems in positive mood ahead of a tricky game.